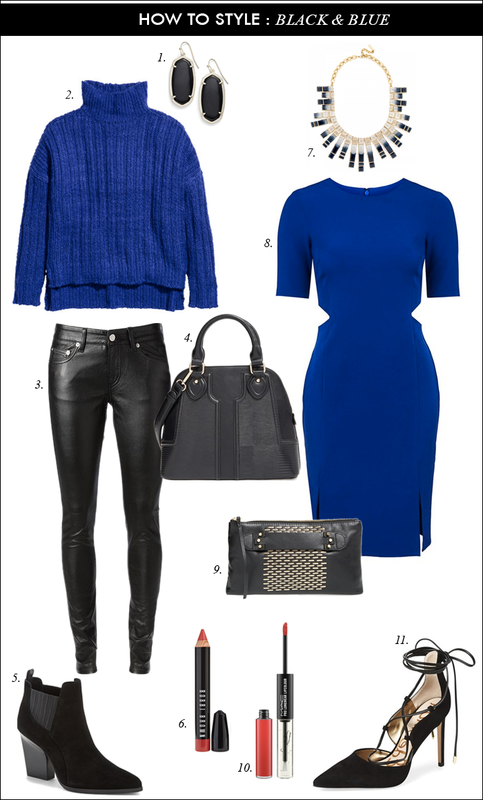 A couple ways to wear black and blue - one dressy and one more casual. Love the color combo! The cobalt looks great with black. Such a fabulous color combo! Those jeans are so hot! Loving the cobalt and black combo! That sweater is such a great find! Great looks with blue and black...I really love those colors together but avoided putting them together for years.